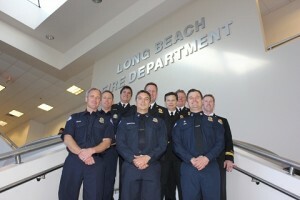 On Friday, February 1, 2013 the Long Beach Fire Department honored members of the Department for their recent promotion to the ranks of Marine Safety Officer, Rescue Boat Operator, and Battalion Chief. Members of the community were also honored for their contributions to the Department and to the community. Individuals listed below who are being promoted will fill positions vacated by retirements and other promotions. Below is a list of honorees.